No Hardcover Highlight this week as there's no hardcover release from Marvel. Wonder if there's a specific reason or it's just a coincidence. Probably a coincidence. Oh well we'll just continue on to the:!!!DISCLAIMER!!! I know nothing about this but am always enticed by Complete, Omnibus, Absolute, Epic collections. Seems like Nick Fury has moved on from S.H.E.I.L.D. and now he's training the offspring of other Marvel heroes. 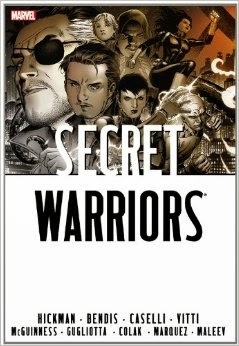 I'm sure it's way more gritty than it sounds judging by the cover art and it's pretty easy to imagine a grizzled Nick Fury taking on a surogate father or wise Uncle role so I'm sure there'll be some good stuff going on here. 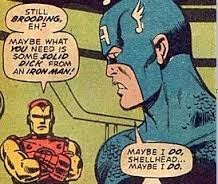 With the Civil War movie coming out next year, (I think), I wonder if the Big Red is hinting at a new silver screen appearance debuting during said movie? And with the rumblings in regards to the somewhat misogynist attitude Marvel Studios seems to have, adding another female or two to the Cinematic Universe couldn't hurt. Doing my research I found out this volume was originally published under the name Ms. Marvel By Brian Reed Vol. 2 so if you all ready have that book, don't bother. 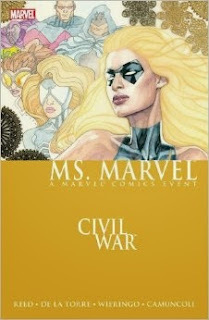 Reprinting it under another title does help the idea that she may be in the final Civil War movie. Uncanny X-Men Vol. 4: Vs S.H.I.E.L.D.